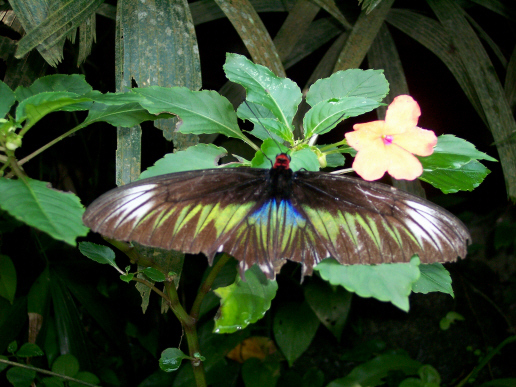 Wow, those are beautiful butterflies! Gorgeous butterflies and interesting history! I always like your "fact" posts. Those are beautiful! Great pics. Raspberry ripple ice-cream--now that IS soulful. takes me back in time. I don't think I've had that for years. Did you see that I posted that it's a beet? 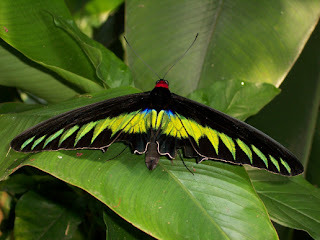 I love the Rajah Brooke Birdwing! I saw lots of them in the wild in Ulu Geroh and Royal Belum. They flock around salt licks! Great photos, Ellen! Lovely! They look like jeweled brooches!